Item number 2872/21 a-b from the MOA: University of British Columbia. Rod puppet of Hanoman. 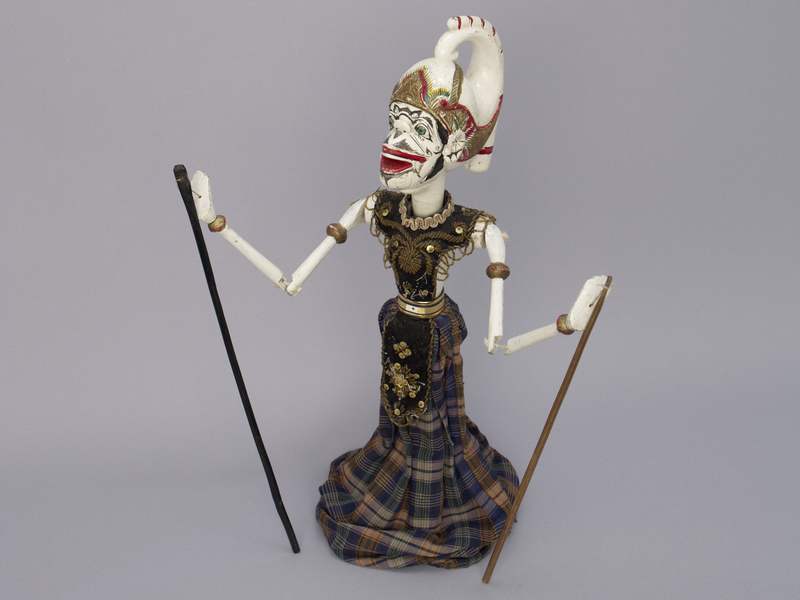 The head of the puppet has a curling white headdress called a gelung supit urang, with gold and red ear decorations carved and painted onto it. The eyes are green, and surrounded with decorative patterns in black paint. A small round nose sits atop a protruding mouth area, with moustache and beard surrounding an open red mouth devoid of teeth. The torso is covered with a sleeveless, black, beaded apron, belted at the waist. 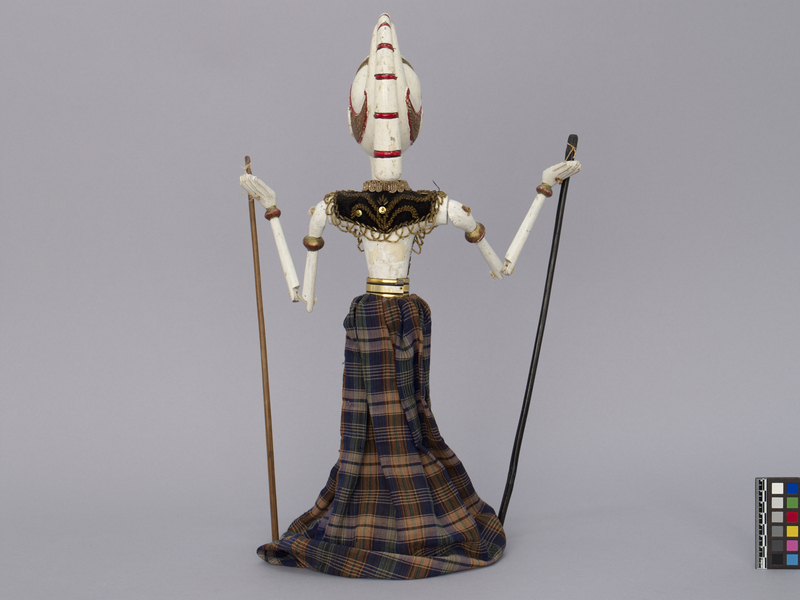 Below is a checked sarong that covers a wooden stick which extends through the torso into the head to control its movement. 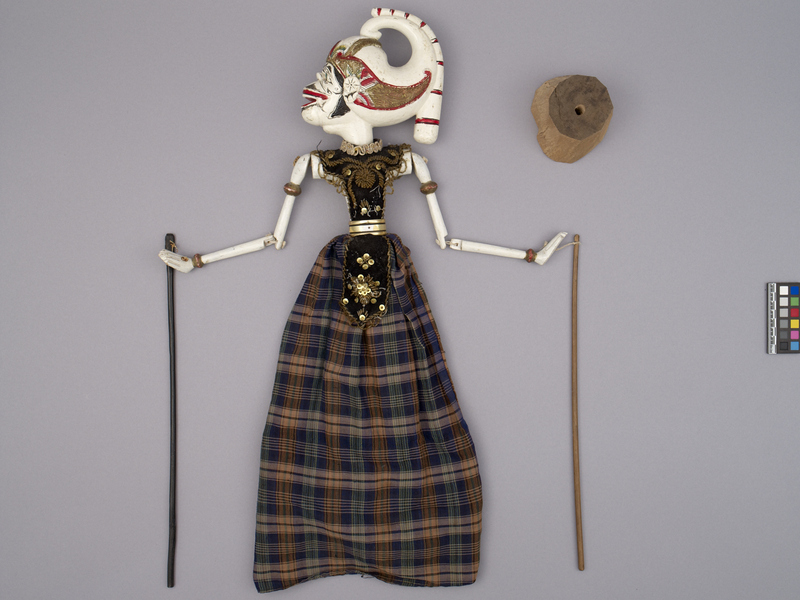 The arms are moveable at shoulder and elbow by wooden sticks attached to each hand. 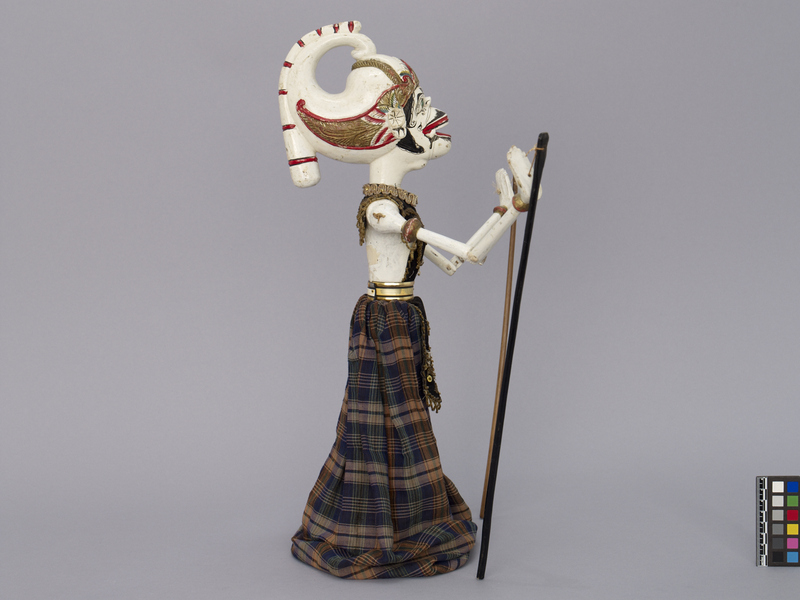 Part b is a round wooden base that the torso stick of the puppet is inserted into to hold it upright. 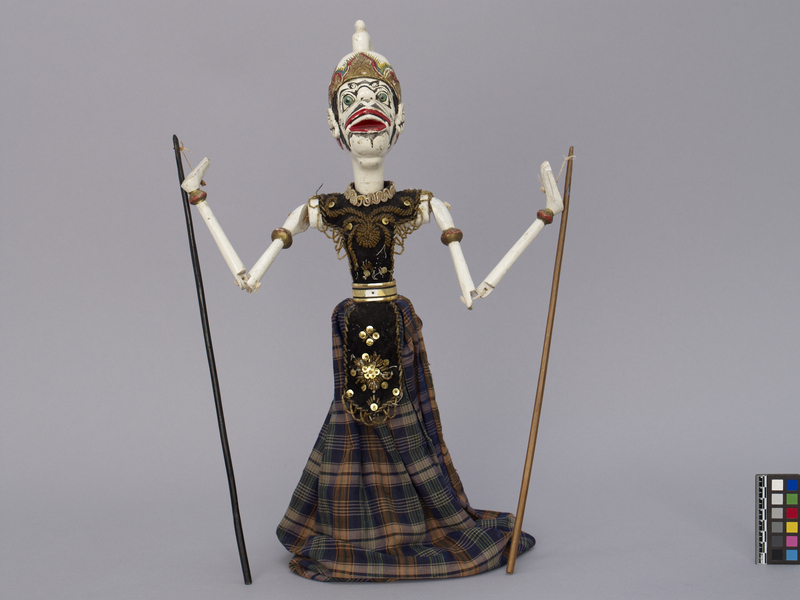 Wayang goleck, an Indonesian rod puppet of Hanoman, a monkey god and central character in the Indian epic Ramayana.